Exquisite! Hard to get the morels though. I recently made this with what I had available to me, which was a ribeye, trimmed of extra fat. I followed the directions to a 't' and was pleasantly surprised at what a nicely cooked steak this makes - with the steak pink all the way thru and no part more cooked than another. The simple jus, made with the addition of a little water to the pan at the end was simplicity itself. This whole meal, including the recommended accompaniment from the book (sautéed potatoes) came together very quickly, and produced a simple, delicious meal. There is a video of Raymond Blanc making this available on YouTube. I am truly enjoying all the little cooking 'tips' I am learning from this book. The recipe given in the book does not align exactly with a more recent rendition of this recipe demonstrated by Blanc on an episode of his cooking show. In the video (steak maman blanc epidsode - available on youtube) , he uses grapeseed oil as opposed to olive oil. The higher burning point of the grapeseed oil makes a difference. He also cooks the potato cubes for one minute in boiling water to cook the starch on the outside of the potatoes. These two changes to the original recipe helped me to achieve the best sautéed potatoes I have ever made - with a nicely crisp exterior and soft inside - and not heavy or greasy. With the changes to the recipe noted above, this is my new 'go-to' for fried potatoes. 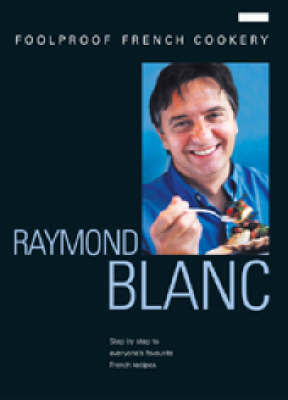 Raymond Blanc describes the basic techniques required to create traditional French food and demonstrates 40 simple-to-follow versions of the most well-known dishes. There are step-by-step instructions and photographs accompanying every stage from start to finish. All Raymond's recipes are simple, rustic and completely delicious, and whether you choose quick and easy Oeufs en Cocotte or Moules Marinire for a more elaborate meal, his foolproof instructions guarantee excellent results every time.